“In a work that will become indispensable to anyone seriously interested in modern art, Yve-Alain Bois and Rosalind Krauss convincingly introduce a new constellation of concepts to our understanding of avant-garde and modernist art practices. 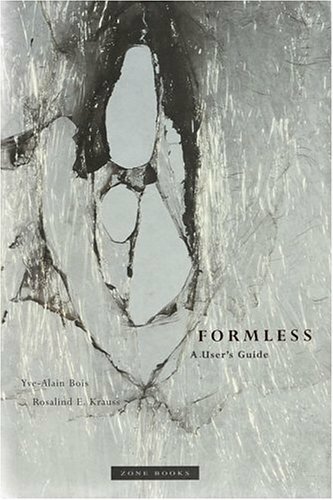 Formless constitutes a decisive and dramatic transformation of the study of twentieth-century culture. Although it has been over sixty years since Georges Bataille undertook his philosophical development of the term informe, only in recent years has the idea of the “formless” been deployed in theorizing and reconfiguring the very field of twentieth-century art. This is partly because that field has most often been crudely set up as a battle between form and content, whereas “formless” constitutes a third term that stands outside the opposition of form and content, outside the binary thinking that is itself formal. First published as L’Informe: mode d’emploi, Centre Georges Pompidou, Paris, 1996.